On Wednesday (20th July) I travelled down to Staffordshire to do a talk / demonstration on lighting dolls houses at Lichfield Dolls House Club. I arrived a bit early to avoid any problems on the M6 and was very kindly hosted by their president Gaynor. It turned out to be a baking hot day so not having to sit in a car park for an hour was very much appreciated! 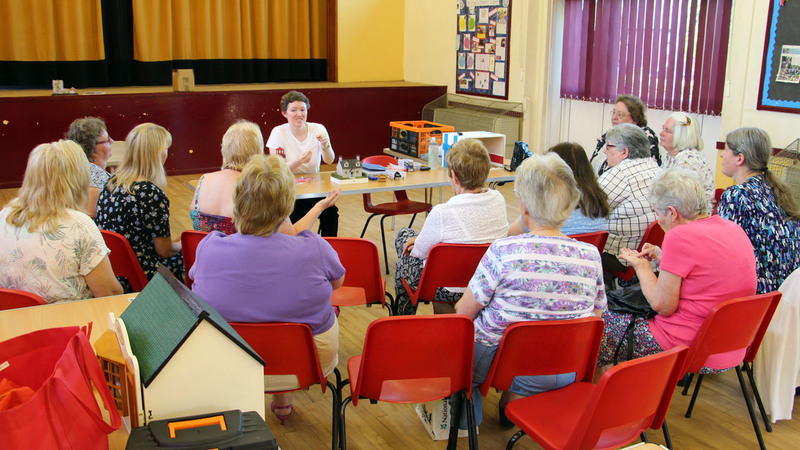 I knew a couple of the ladies already from previous talks / workshops and having done a few of these now I was a lot less nervous than I used to be! I gave an introduction to LEDs and why they're great for dolls houses and other model projects (don't get hot, last a lifetime and very efficient) and then showed quite a few examples of different types of LEDs and how they can be used, as well as some of the advances in technology using programmable microchips that allow for more impressive lighting effects such as my Lighthouse Beacon and remote control switching on and off of lights in a dolls house. 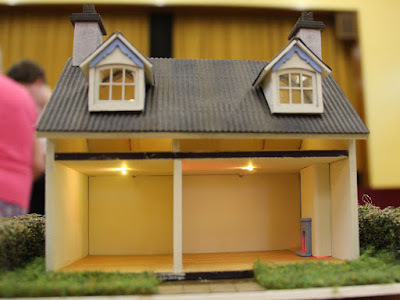 I then gave a demonstration on using one of my kits to light a 1/48th dolls house and I think I convinced a few of the ladies that it's a lot easier than they thought. I really enjoyed my visit and would like to thank the ladies again for inviting me and supporting my business. Thanks also to Paul for taking the photos during the evening.